The subconscious mind is powerful. It can bring up old feelings and pain without actually letting you know that this is what it is doing. You feel anxious, sad, unsure, and sometimes angry, but you don’t know why. That is how I was feeling last week. All I wanted to do was run to get away from the feelings of inadequacy and pain that I was experiencing. I couldn’t picture how I could be happy. And I didn’t know why. Life is good – I have a wonderful husband, I have the opportunity to follow my dreams of being a full-time writer, I have amazing friends and family, and I have just been to Thailand and fulfilled a dream. Last week I felt quite pathetic. I had intended to experience life with more gratitude and simplicity, to remain inspired by what I experienced in Thailand, but last week I felt far from where I hoped I would be when I came home in May. One of the dogs from BLES died in the last month, but I only just heard about his death this week. The news that the dog had died opened the way for the realization that my subconscious had been pushing something important up and I just wasn’t receptive to it. July is a wonderful month as it is the month in which Hugo was born. But, it is also the month of anniversaries of some losses. 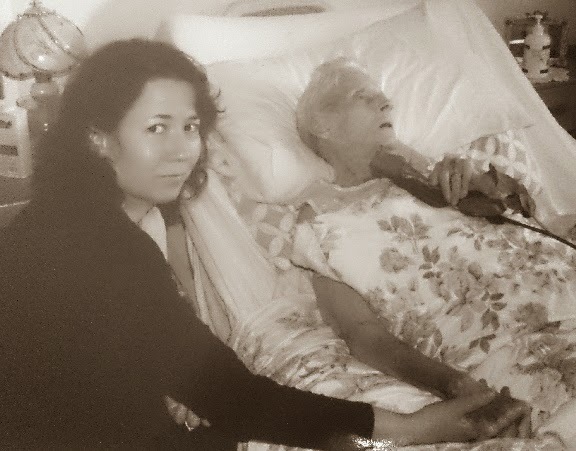 It is the month in which my beautiful Nan died three years ago and it is the month, six years ago, that we started IVF with the expectation that we would become parents. It’s true that no embryos were created from the first round of IVF, but with the cancellation of that cycle came the beginning of the death of hope that came more real with each cycle. Anniversaries of deaths, in particular, bring with them memories and feelings about other losses that have happened as well. One of the most obvious is the loss of my cat, Minerva, just this past May. There is also the memory of my cousin who died in a motorcycle crash when I was eighteen and he was twenty one. There are other losses throughout my life, just like there are in everyone’s lives. I have a weasel that turns mutant sometimes. Okay, not really, but I do have a part of me that when I am feeling melancholy and unsure seems to sense my weakness and rushes over to me to make sure I know just how useless and horrible I am. That is what was happening last week. I used to fight these feelings. I put all my effort into trying to overcome them, but all that happened was that the thoughts got stronger. There was no way I could defeat these kinds of torments and when I failed it just gave more ammunition for the thoughts that I am useless and no good. I now have a strategy that I use where I imagine that there is a weasel in my mind. Normally it is well behaved and even useful, but every now and then it goes crazy and becomes a mutant that pours forth negative and unfounded judgments about me. If I try to make it go away completely it just gets more out of control. I have now given it an imaginary place where it gets a “time out” until it calms down. I imagine it as kind of a dog bed in the corner of the room. This really does work for me. It’s like dealing with a child that is having a tantrum. I give it space, I don’t engage in its attempt to bring me down even though it keeps trying, and I ignore it until it calms down. Sometimes I even thank it after my thoughts return to being healthier. Why would I thank this mutant weasel? Because sometimes it can be helpful. Telling me I am no good at anything is not a good thing, but helping me to recognize when I need to let go of something that I have tried and really have little talent for (and am even not enjoying) is beneficial. Saying people don’t really like me is something I don’t like, but helping me to think about whether I have done something that hurt someone can be a positive step in rescuing a friendship that is important to me. Sometimes there is nothing positive that I can find in what the mutant weasel is saying. 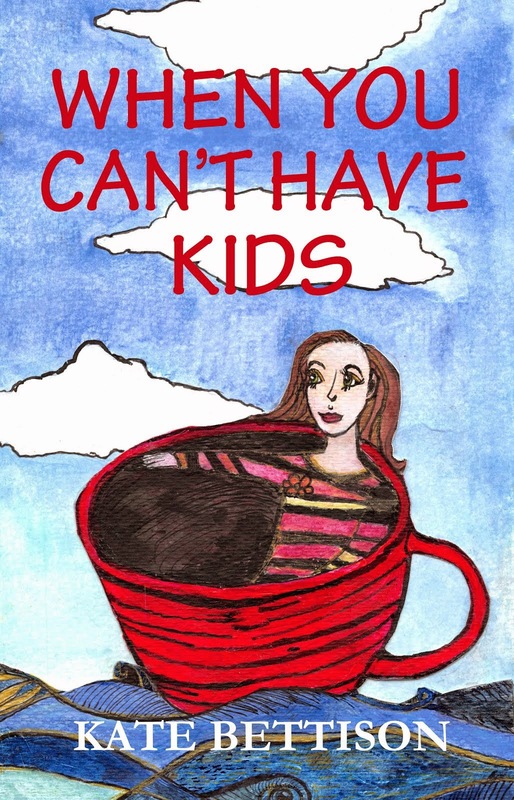 “You can’t even have a child” is one in particular. All I can say to the weasel then is “yep – that’s true…so what?”, or, even better, I ignore the weasel as it plays up in the corner. While the weasel has its tantrum I get on with life. With time the weasel calms down and stops the negative attacks. Then it returns to being a helpful and quite cuddly little creature. I forgot about all of this last week. Life isn’t all rainbows and unicorns now that I have remembered, but it is certainly better…and I am free to think of the people and animals that have come and gone in my life with love and tears and laughter, and sometimes anger, without feeling that I am no good. And I am free to think through the concerns of last week without being overwhelmed by them, and I can move forward instead of being stuck. Your weasel is a great coping mechanism. I have similar negative thoughts, but a different way of dealing with them. The important thing is that we find a way to deal with them. And I hope your memories of your lost ones bring you comfort. Thank you Mali - and you're absolutely right...everyone will have their own way of dealing with negative thoughts and the journey is to find out what works.